Trends Collection offers 1000’s of options for visual branding with a huge range of products. Promote your business with lasting advertising on products that people use every day. Aussie Pacific – is recognised as one of the premium performance fabric team-wear labels in the South Pacific. Striking colour ranges & High quality breathable, anti-bacterial materials at an affordable price. Their full Range is definitely worth taking a look at. All of these they offer in both a Sports & Corporate line. Their new large colour co-ordinated range is also ideal for schools and sports clubs. Headwear Professionals – offer the best affordable cap range in a wide range of styles & contemporary fashion-styled headwear. 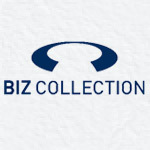 Fashion Biz has been offering quality uniforms, team wear and promotional apparel for 25 years in New Zealand. 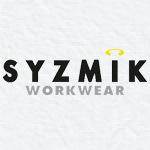 At Syzmik aim to deliver a workwear range that is tougher, more comfortable and better fitting than existing workwear clothing. Innovation is at the heart of what they do so they are always researching and testing the latest fabrics to ensure they offer the best clothing possible, based on the latest technological advancements. Syzmik pride themselves on delivering the best quality product possible and that’s why each and every product they produce goes through stringent quality testing to ensure the performance of the product is exceptional and deserving of the Syzmik name. AS Colour produce premium apparel, they strive themselves in quality & design to give you a garment that will stand the test of time. AS Colour offer a great range of street apparel & accessories. Legend Life happily providing their customers with a great choice of Headwear, Bags, Umbrellas, Aprons, Towels, Bathrobes and Accessories for all your branding needs. Aurora and Cloke garments are specifically designed for branding via screen printing, embroidery and other methods offered at Crazy Frog Embroidery & Print. The fabric of their garments is manufactured to give crisp, clear print results, so your team will look great and feel great. Bocini are leaders in sportwear and team uniforms. 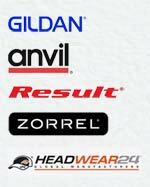 Competitively priced team, promo or uniform apparel. Hard wearing comfort and industry standard work wear. 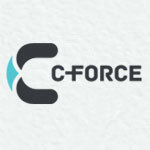 Please contact us for more information about your branding requirements, we will work with you to promote your business.